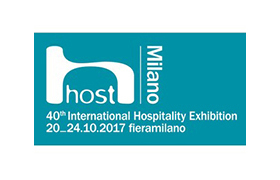 Between 20th and 24th of October Asber will be attending 2017 Milan Host, worldwide meeting point of industrial kitchen equipment industry. 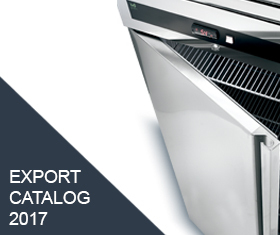 We will show our new refrigeration line, Green, as well as the Grand Series, a new range of dishwashers which will be available on 2018. Asber is a leading global multi-solution manufacturer of food service equipment, with a wide range of best-selling products. Commited o quality, providing efficient + personalized +OEM products worldwide. 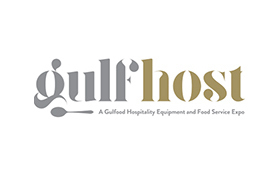 Asber will attend Gulf host on 18-20 of September 2017 to exhibit our Refrigeration Essenzial line and Dishwashing Easy-Wash line. You are welcome to visit us at Dubai World Trade Centre, Sheikh Saeed Hall, booth S-C10. Our philosophy of continual improvement has enabled ASBER brand to develop 2 range of product: Essenzial Line, offering a whole set of solutions specially designed to provide a versatile product with better value for money. EU Commission Regulation 2015/1094/EU of 5 May 2015 came into force on 1st of July 2016. This regulation states that the products involved on it, are required to pass a stringent energy performance standardized tests. 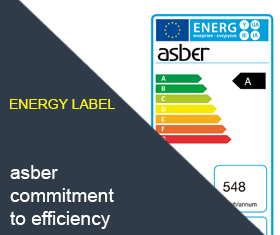 This new labeling system has been developed to drive energy efficiency and environmentally friendly design and it is based on an easy-to-follow letter-based rating from A to G.